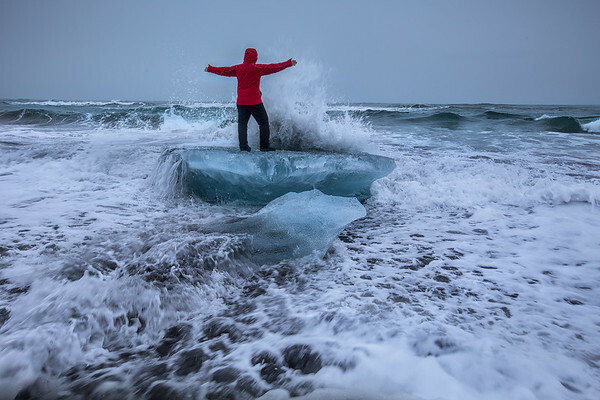 Iceland Road Trip – Iceland is warmer and more welcoming than its name implies. 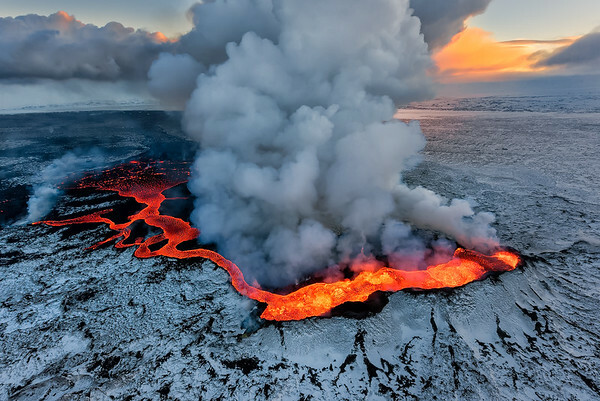 It is a land of extremes that fiercely displays both fire and ice in equal measures. An adventurous drive along Iceland’s famed Ring Road is the best way to get acquainted with this fascinating and mysterious land of Iceland. Here’s all you need to know about planning for an epic Iceland road trip. How Long Does it Take to Drive Iceland’s Ring Road? Technically, it’s possible to drive the 830 mile distance of the Ring Road in about three days. That doesn’t really allow adequate time for exploring geothermal features, marveling at the Northern Lights and feeling the power of the country’s volcanoes. Planning for a week along the Ring Road is the minimum. Most people prefer to plan 10-12 days to appreciate the sights along the way. When Should I Drive the Ring Road? While it’s possible to drive the Ring Road in any season, it’s easiest to do so in July and August. You’ll likely not encounter ice and snow, which means that hiring a sedan is all that’s necessary. In any other month, it makes a great deal of sense to hire a 4 x 4 (four wheel drive). This means you’ll be prepared regardless of the conditions. However, if you plan to go off-road, then a 4 x 4 is advisable regardless of the season. Iceland has notoriously rough terrain, and it’s not the kind of place where you want to chance a breakdown. Also, travel insurance might be a good idea for those unexpected mishaps. Keep in mind that even if you arrive in the middle of July you’re likely to see changeable weather. From clear, sunny skies to heavy fog to beating rain, you may see it all in a brief time. Accordingly, it’s important to dress in layers, keep an eye out for hazardous conditions and having a nice day pack with some supplies is highly recommended. 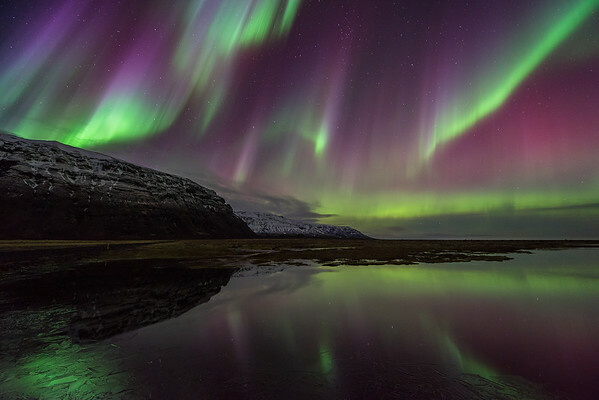 Seeing the Northern Lights is one of the chief attractions for many people visiting Iceland. It requires luck and good timing to catch them. Your best chances of seeing the Northern Lights are between September and April when nighttime brings total darkness. The summer months are a chancier proposition with the long hours of daylight. Weather also plays a role. When clouds and rain appear the Northern Lights are far less likely to be seen. That said, when conditions are right they can be seen from nearly any relatively underpopulated place in the country. It’s sensible to bear in mind that outside of Iceland’s few cities, the population is sparse. It’s possible to drive for miles without seeing another car. This means that conveniences like gas stations and restaurants are few and far between. That’s why it’s a good idea to fuel up both the car and yourself at every opportunity. You never know when you’ll have another chance. Similarly, most people who drive the Ring Road bring along a supply of toilet paper. Rest stops are nonexistent, and it’s impossible to always wait for a gas station. The seasoned Icelandic road tripper grows comfortable with relieving themselves in the wilderness. Fortunately, the relative lack of people makes this process slightly less uncomfortable. Most people arrive in Iceland by air. Renting a car at the international airport is possible. However, it’s also possible to hire one in Reykjavik, which is about 30 miles from the international airport. Those who go this route can get a shuttle from the airport to their hotel in Reykjavik. Rental agencies in the city will bring the hired car to the hotel or will arrange for transport for you to pick up the car. Regardless of where you rent, it’s virtually always less expensive if you reserve a car in advance. Many of the larger, better known rental agencies are represented in Iceland. You may be able to get service that is just as reliable for a cheaper rate by going with one of the local agencies instead. 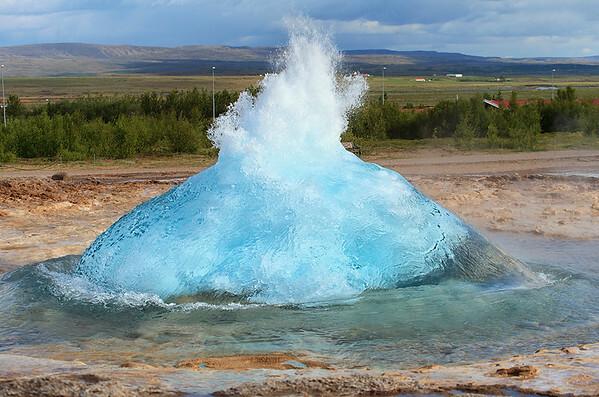 Car hire companies in Iceland typically let you choose between unlimited and limited mileage plans. If you’re planning to drive the Ring Road, then the unlimited plan is certain to be the best bet. That’s especially true if you plan to wander away from the main road, which is highly recommended. Accommodations in Iceland are varied. There are few hotels outside of the larger cities like Reykjavik. Those that you do find are likely to have few frills, and you may not have a private bathroom. Still, hotels tend to be clean and adequate. Guesthouses are a more plentiful option. These usually consist of rooms in private houses. Again, private bathrooms tend to be in short supply, but many of these accommodations do have cooking facilities and are generally affordable. A variation on the guesthouse theme is the farm holiday. A stay on a farm is part of the classic Icelandic road trip experience. Many of these accommodations are well-equipped, cozy and offer plenty of privacy. Heartier summer travelers might try camping. Nice campgrounds are found on the outskirts of practically every town and village. Many are located near geothermal pools. Some of the better equipped facilities have electricity, washers and dryers and showers. Twenty-five hostels are also found throughout the country, making for another convenient and economical choice. Staying in touch while driving the Ring Road is remarkably convenient, mostly because Iceland’s rate of cell phone ownership is so high. This means that network coverage is excellent in the cities and along the Ring Road’s entire distance. The bad news is that people traveling from North America are unlikely to have a cell phone that will operate in Iceland. It’s possible to rent a suitable phone before leaving home. GSM phones will work nearly anywhere in Iceland, and being certain to buy or rent such a phone before leaving home is essential. Some travelers choose to buy an inexpensive cell phone upon landing in Iceland to ensure that it is appropriate for use in the country. If you plan to do some serious roaming in the back country, even a GSM phone won’t be much help. In this case, you may want to look into renting or buying satellite phone for staying in touch. What to See on Your Epic Iceland Road Trip? 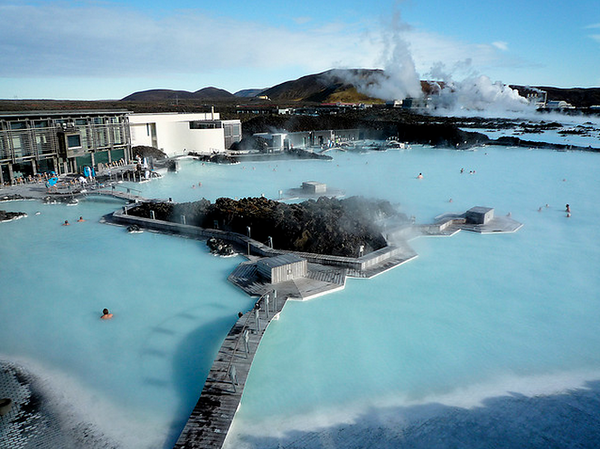 One of the best ways to begin exploring Iceland is with a stop at the Blue Lagoon Spa. Found outside of Reykjavik, the Blue Lagoon is one of the country’s most popular spots for enjoying a soak in geothermal seawater. 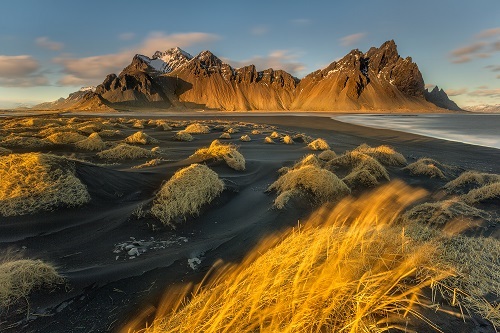 It’s a marvelous introduction to Iceland, featuring fresh air, breathtaking landscapes and refreshingly warm waters. On the other side of Reykjavik is the Golden Circle. Exploring this area includes going into Thingvellir National Park. Thingvellir is the site of many of Iceland’s most interesting features. It’s here that visitors can practically see the earth’s tectonic plates being ripped apart where the country’s parliament has been meeting since 930. 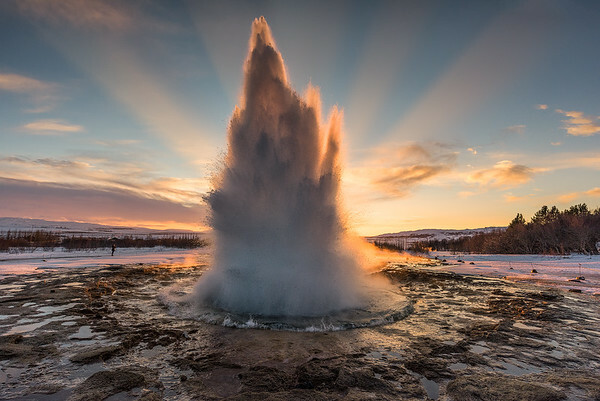 The park boasts other fantastic sites like the now inactive Great Geysir and the unpredictable and still quite active Strokkur. 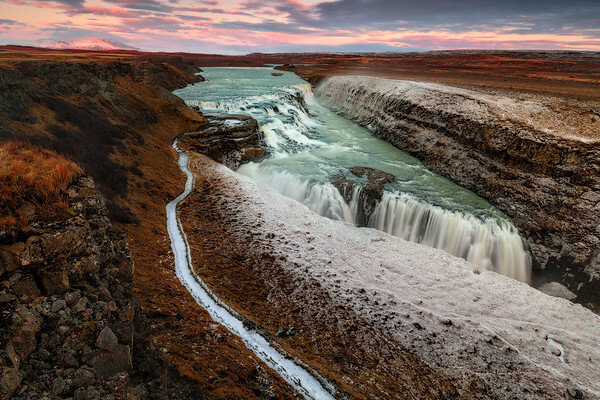 No one will want to miss the thundering Gullfoss Waterfall where magnificent amounts of water fall 32 meters in two dramatic stages. As you continue along the south coast, you may want to take a detour along the road that leads to Fljotshlid. This route provides an excellent view of the volcano known as Eyfjafjallajokull as well as other volcanoes and several glaciers. After that, it’s a great idea to explore the Seljalandsfoss and Skogafoss waterfalls, taking the time to hike behind Seljalandsfoss for a uniquely breathtaking perspective. Also worthy of a visit in the Vik area is the Katla volcano. Long considered one of the country’s most dangerous volcanoes, Katla last had a major eruption in 1918. Its history of erupting between every 50 and 100 years means that it is now due or well overdue for another explosion. Katla is encased in the Myrdalsjokull glacier, and although it is much closer to the Ring Road than it is to the center of the country it’s still fairly remote. It would take a long, rugged hike or a fun, breathtaking helicopter ride to catch a glimpse. Back on the road outside of Vik you’ll traverse the enormous lava field at Eldgjarhraun, which looks a great deal like a desolate moonscape. Farther on you’ll come to Dverghamrar where you’ll see beautiful basalt formations that are worthy of dozens of photographs. You may also choose to stop off at the sand plains of Skeidararsandur where you may be able to catch glimpses of a large seal population. Nearby Skaftafell National Park boasts many wonderful hiking trails and an excellent visitor’s center where you can learn more about the various glaciers and mountains found within the park’s boundaries. Next come charming, traditional Icelandic villages like Djupivogur where you can take a fun photo stop next to the collection of granite, egg-shaped sculptures along the coastline and Faskrudsfjordur to visit the small but truly excellent Fransmenn a Islandi museum honoring the French fisherman who once trawled for cod in the area. A stop at Lake Lagarfljot is also worthwhile. You just might glimpse the famous lake monster known as the Lagarfljot worm. There’s an interesting folk museum at the nearby village of Skogar, which is an excellent point of departure for viewing Solheimajokull Glacier before continuing on to the picturesque village of Vik with its adjoining, and breathtaking, sea cliffs. Vik has beautiful black sand beaches. 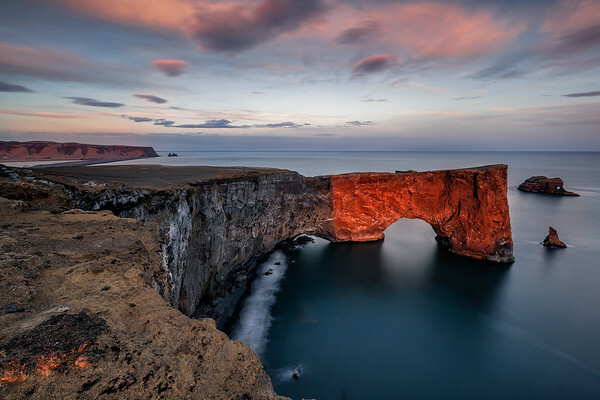 A bit of hiking will take you toward Dyrhólaey promontory with its natural rock arch. 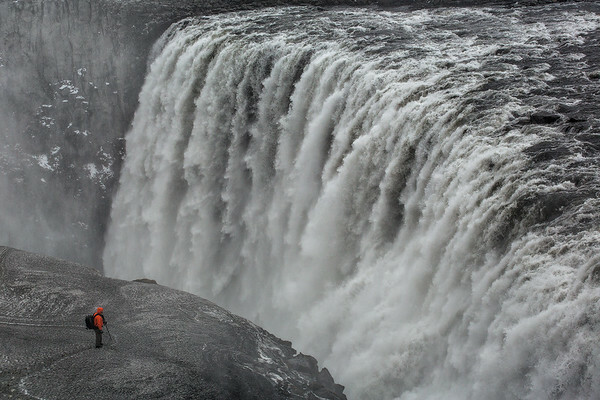 Not long after these sights you can take a detour to Dettifoss, one of Iceland’s most spectacular waterfalls. Back on the Ring Road, you might consider stopping at the hot springs at Namaskard and the indescribably blue water in the lake of the Viti crater. Farther along you’ll come to Lake Myvatn, which is widely regarded by locals and visitors as one of Iceland’s most beautiful areas. Fascinating pseudo craters and an easy hike to the rim await the adventurous traveler. 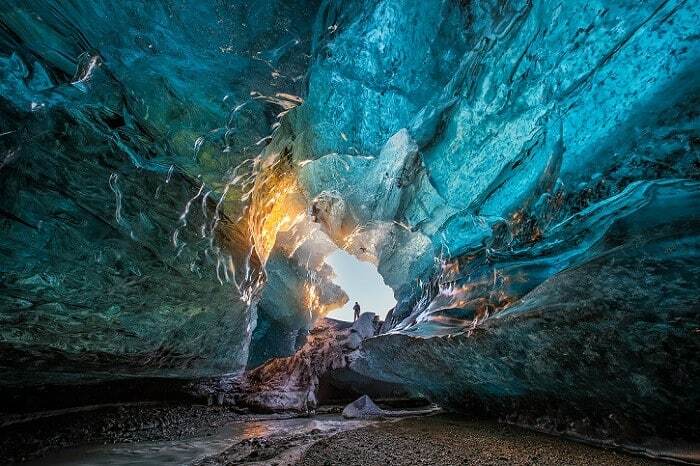 Be sure to schedule some time to venture into Grjotagja. This natural lava cave has a warm spring inside. Try some bathing at the Myvatn Nature Baths. If whale watching is on your wish list, then the village of Husavik is a great place to book an excursion. Several tour companies operate in the area, and there is a wonderful whale museum that can supplement your experience. Husavik might also present you with an excellent chance to ride an Icelandic horse in connection with a fascinating tour of the local landscape. After exploring in and around Husavik, you can make your way to Akureyri. 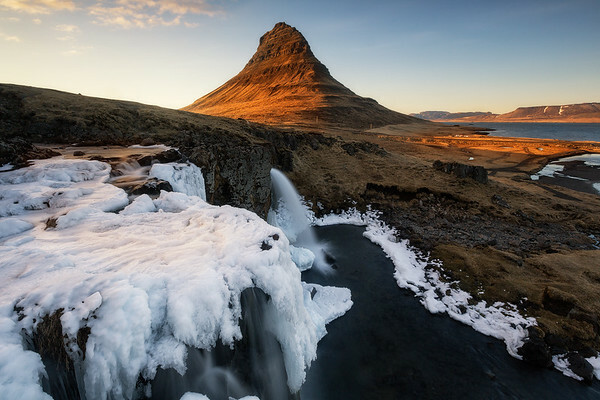 This city is often referred to as Iceland’s northern capital. Fun attractions, like Arctic Botanical Gardens, the Aviation Museum, and the historic Old Farmhouse Laufas make it easy to spend hours here. Seeing Iceland’s wild reindeer is another highlight for most visitors. Perhaps one of the best opportunities for viewing reindeer can be had at Snaefellsjoekull National Park. Getting there requires a detour from the Ring Road, but it’s well worth the effort if seeing more of Iceland’s wildlife is high on your list of things to do. Reindeer were introduced to the nation in the 18th century by Norwegians. Originally, it was thought that the populace would begin an industry farming the animals, but the locals didn’t take to the practice. Accordingly, Iceland’s reindeer were never domesticated, and glimpsing them in the wild is an exciting part of a visit here. Next comes driving through several scenic fjords in Skagafjordur and Borgarfjordur. Borgarfjordur is near the interesting town of Borgarnes. 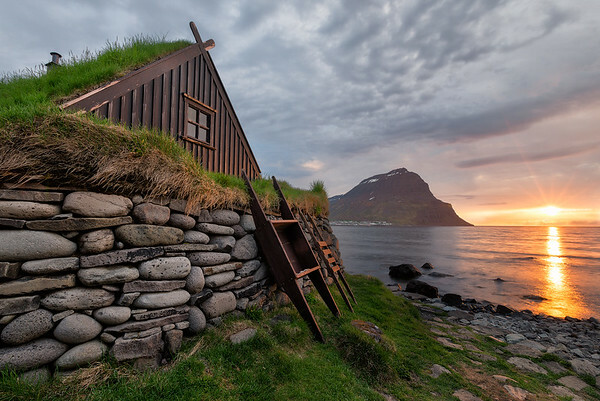 Here you’ll find the fascinating Settlement Center, a museum filled with cutting-edge interactive exhibits that are devoted to the earliest period of Iceland’s settlement. The city also boasts the genuinely fun and interesting Fljotstunga Cave Tours. 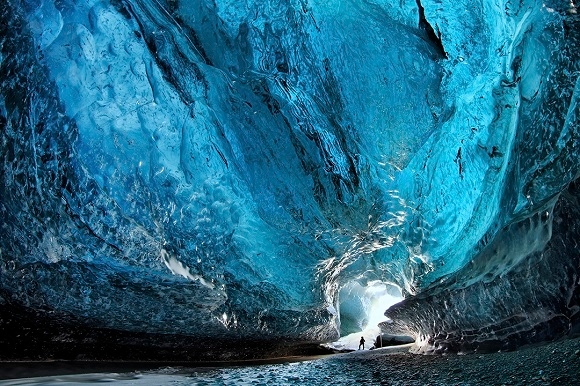 Highly trained guides take groups of visitors through the lava tubes to view fascinating ice formations. There’s also excellent hiking in the nearby Husafell region. Be sure to bring along a camera. By now you’re drawing near to Reykjavik once more. If your plans did not allow for it before your departure on the Ring Road, your return to the capital is an excellent chance to get to know the city better. 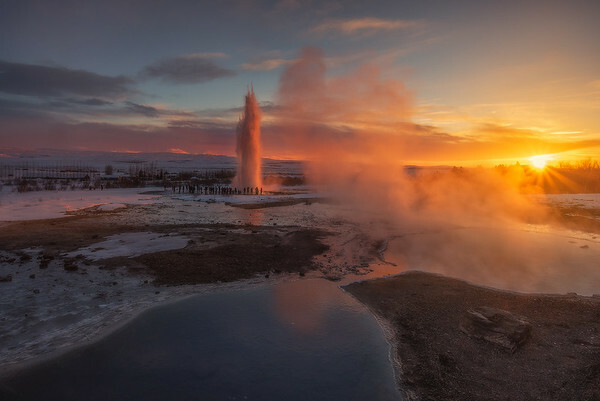 Take a walking tour, enjoy the open air folk museum and try one of the great geothermal pools. Reykjavik has delights for everyone. 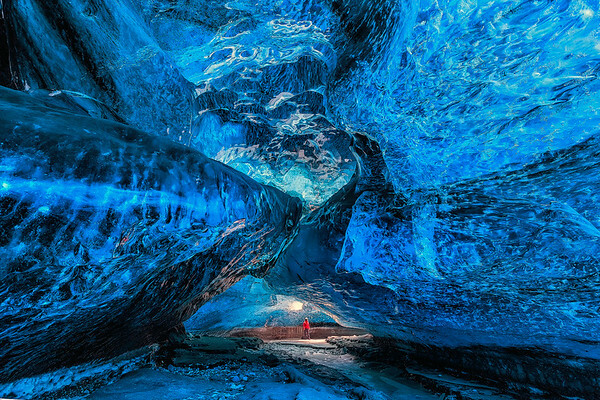 You will be sure to enjoy your epic Iceland road trip and have memories for a lifetime.